Photo courtesy of Amari Gilmore. Amari Gilmore is a senior at West Chester University with a major in middle grades preparation and minors in reading and civic and professional leadership. 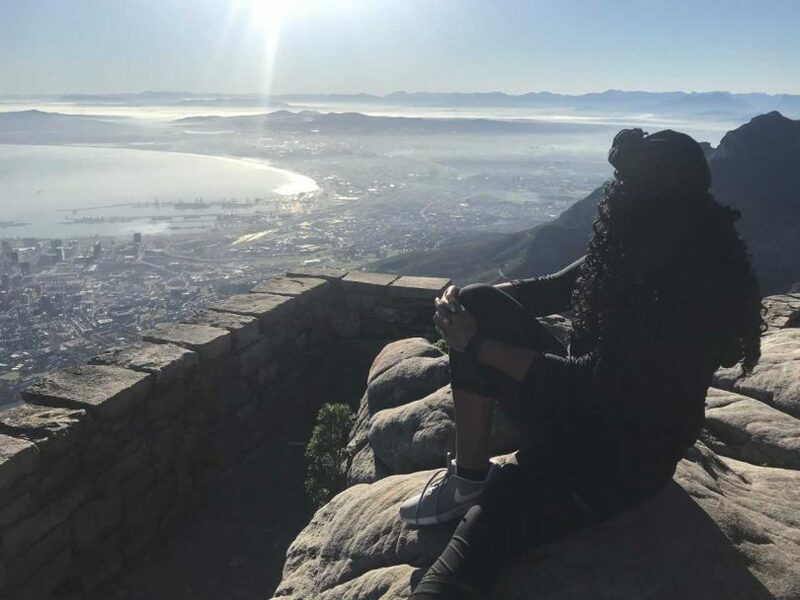 Gilmore studied abroad in Capetown and Johannesburg, South Africa for 12 days in the summer 2018. She also studied abroad in George Town, Cayman Islands for eight days during the winter term of 2019. She described going on a safari as a humbling and awe-inspiring experience. When asked what made her nervous prior to traveling, she cited money as a huge worry. “I was afraid I wouldn’t have enough money to pay for the trip and enjoy it,” said Gilmore. Fortunately, she received financial aid for both study abroad trips, like the Global Rams Scholarship via the Center for International Programs. Traveling to South Africa was a huge step for Gilmore since it marked her first international experience. “[South Africa] was my first time out of the country. I was afraid I would miss home or miss something important at home,” she said. When asked to retell her favorite moment during her trip to South Africa, Gilmore found it difficult to choose one specific memory. One of her favorite snippets from her travels consisted of sitting upon a simple tree branch in Cape Point, South Africa. “I [felt] like I had won the lottery,” she reminisced. She described going on a safari as a humbling and awe-inspiring experience. “I felt so small and so connected while walking through the bush,” Gilmore said. As for the Cayman Islands, Gilmore once again found herself stumped when she attempted to choose a single favorite moment. She recollected holding a stingray for the first time in the ocean. Once again, she felt an overwhelming sense of humility in the presence of wildlife. “I am no more important than the stingrays swimming around in the middle of the ocean,” Gilmore reflected. When thinking about both of her study abroad experiences through West Chester University, Gilmore reiterated the importance of overcoming fear. She stated, “I didn’t allow fear of the unknown to stop me from experiencing greatness.” Gilmore had to abandon her nerves when she went on a safari in South Africa and held a stingray in the Cayman Islands. “Had I let fear talk to me too long, I wouldn’t have discovered what a lion sounds like when it roars or gotten to look a stingray in the eye,” she said.